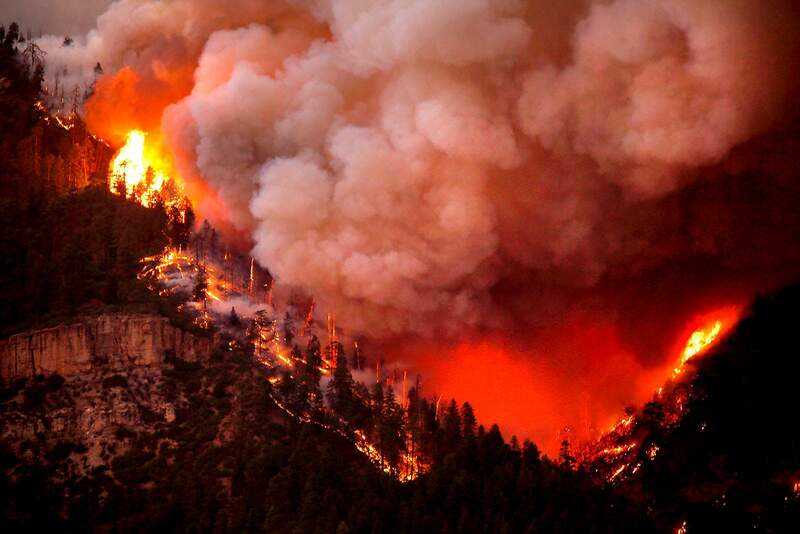 The 416 Fire burns down the Hermosa Cliffs above U.S. Highway 550 on June 6, five days after the fire broke out. The fire burned an estimated 54,000 acres and actively burned for more than 125 days. The cause has not been released. 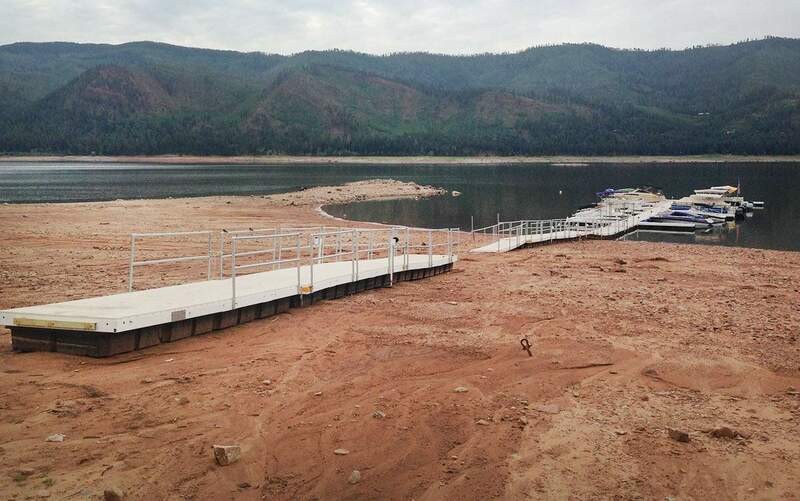 Drought conditions were to blame for low water levels at Vallecito Reservoir. The lake was 40 percent full, down about 32 feet from full capacity in July. 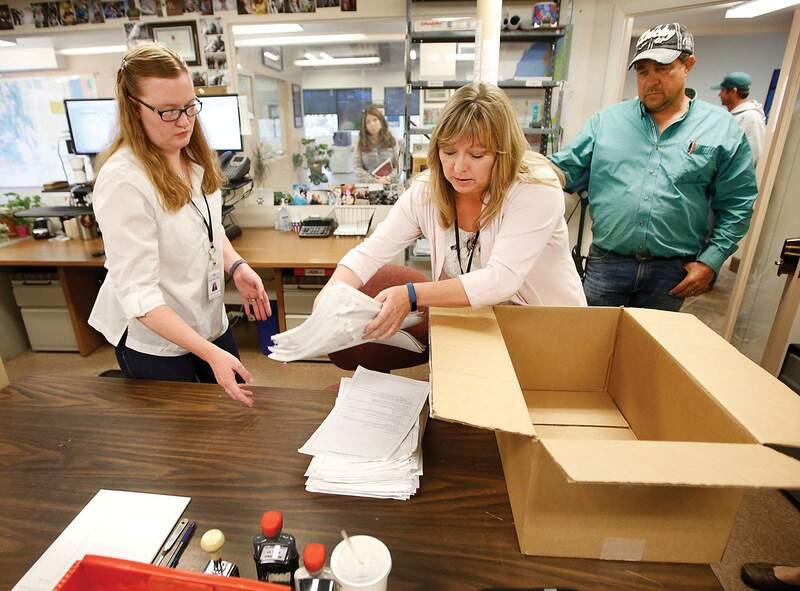 La Plata County Clerk and Recorder Tiffany Lee Parker emptied a box of additional petition sections that were turned in to her office for the amended recall of La Plata County Commissioner Gwen Lachelt in May. Ty Hawkins, right, was one of three residents who spearheaded the recall effort. Bill Elkins and Karen White walked their dogs, Goldie and Riley, through a flooded KOA Campground north of Durango in July after heavy rainfall in the 416 Fire burn area washed rocks and mud into low-lying areas. 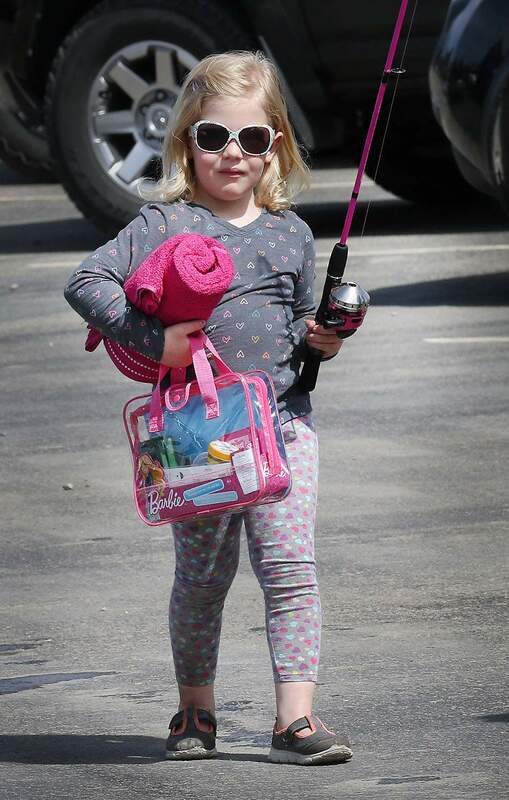 Addyson Lubrant, 4, was one of the first people to show up ready to fish at Lake Nighthorse when it opened at the end of March. Addyson is the daughter of David and Lindsay Lubrant. 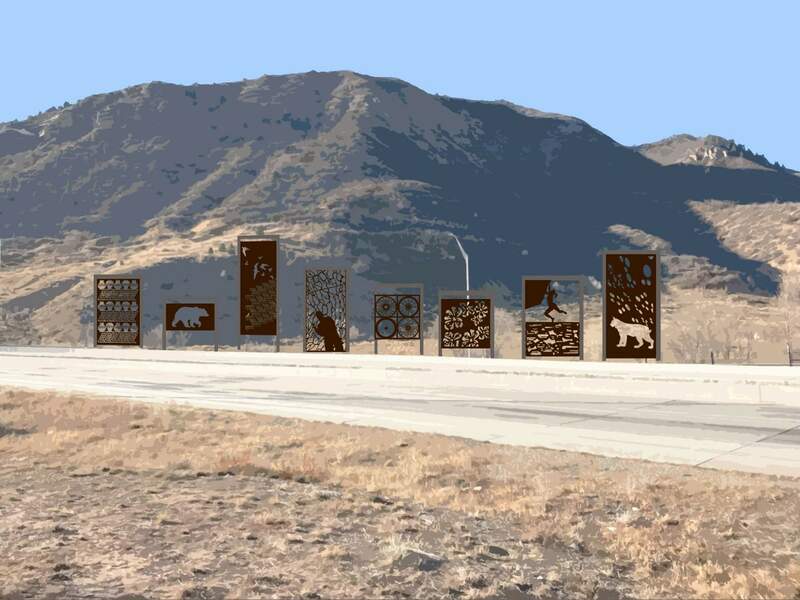 Residents selected “Common Threads,” a concept by Durango artists Allison Leigh Smith and Bryce Pettit, for the U.S. Highway 550/160 intersection. The original concept included 15 to 30 panels with textile-like designs. But after the city did not receive part of a grant for the project, the installation will be scaled back. Homeless residents Tabitha Anderson-Niver and Christopher Rodgers, settle into their campsite near the Durango Tech Center in November. There is an epigram that says “the more things change, the more they stay the same.” That feels somewhat true for 2018 in La Plata County. Once again, a destructive fire dominated the news, and it has left many residents wondering if wildfires are the new normal as climate changes continue and the Southwest endures an extreme drought. The 416 Fire and subsequent floods – a mess of massive boulders and deep mudslides – wreaked havoc on residents and the national forest north of Durango. Wildfires prompted the closing of the entire San Juan National Forest – all 1.8 million acres across nine counties in Southwest Colorado – for the first time ever. As always, the destruction from a natural disaster revealed the resilience of our community as neighbors helped neighbors, fundraisers drew tens of thousands of dollars and signs thanking those who fought the fire were hung all over town. We saw some other rerun issues this year: the ongoing debate about land use and zoning in the county, a growing homeless population, a high suicide rate and municipalities struggling with budget shortfalls. Natural gas: The natural gas industry continued a multi-year shakeup with large players leaving or announcing their intention to leave the San Juan Basin in 2018. In August, BP announced its intention to pull out of the San Juan Basin natural gas and oilfield that spans northern New Mexico and Southwest Colorado. Earlier in August, Williams Partners LP announced it was selling its natural gas pipeline and gathering operation in the Four Corners to Harvest Midstream Co. for $1.125 billion in cash. Discovered in the early 1920s, the San Juan Basin is one of the oldest gas-producing areas in the U.S., but the field didn’t flourish until the 1990s. Now, there are more than 30,000 natural gas wells in the basin. But production has waned since the mid-2000s, largely attributed to lower global prices and the discovery of other gas fields where it is easier and cheaper to operate. A representation of the size of what a conference, arts and civic center might look like if built downtown. Local business leaders have been working for decades to kick-start efforts to build a center in Durango. Conference center: An idea first bandied about in the 1980s, building a conference center got new life in 2018. The Durango Arts/Cultural Working Group met steadily during the year working to lay the groundwork for the latest effort: a combined arts, events and conference center that tourism and economic development officials hope will tap into the $325 billion nationwide business of hosting conferences, events and meetings. Many stumbling blocks remain, including a site location, financing for construction and determining how to subsidize the center. 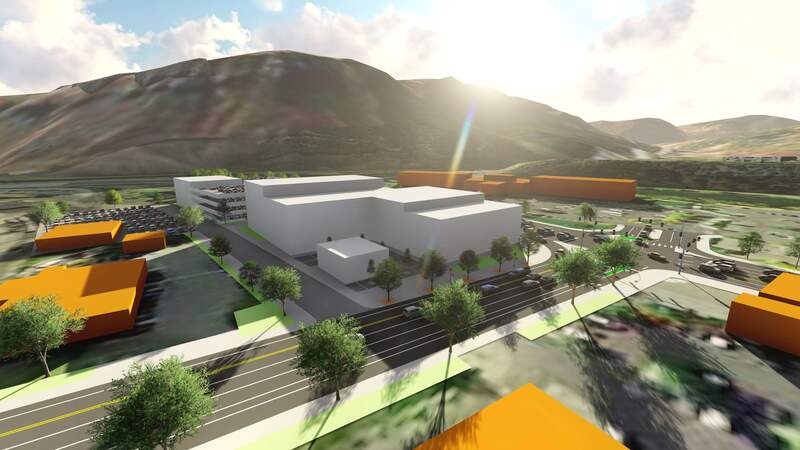 The Durango Arts/Cultural Working Group estimates such a facility would generate $21 million to $31 million annually in economic activity and increase local tax revenues by $1 million annually. Preliminary estimates by the working group are that a facility with a 450-seat theater, 3,000 square feet of event and meeting space, a 6,000-square-foot lobby and a kitchen would cost between $34 million and $47 million. Marijuana: A study conducted in March for Local First found marijuana becoming a more integrated and important sector in the local economy and a provider of good-paying jobs. “Wages in the cannabis industry are comparable to, or better than, wages in other types of industries in La Plata County and were much better than the state-mandated minimum wage,” according to the study, which was based on data from 2016. The report found employee wages, salaries and benefits, as well as business-owner income, from the marijuana industry in the county totaled $14.8 million in 2016 for 351 jobs. Marijuana sales totaled $27.7 million in La Plata County, generating $36.9 million in economic output. Dan Snowberger: Durango School District 9-R Superintendent Dan Snowberger ended the year under fire and with a group calling for his termination. He came in for criticism on several fronts. A father accused the district of mishandling an investigation into the alleged sexual assault of his son at Riverview Elementary School. The parent filed a Title IX complaint with the U.S. Department of Education Office of Civil Rights, which is pending. 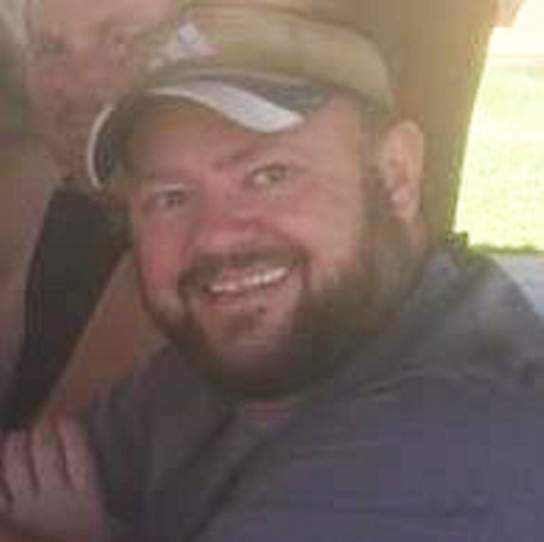 Subsequently, the father accused Snowberger of compromising his child’s privacy by distributing a printed copy of an email exchange Snowberger sent to The Durango Herald in response to a reporter’s questions. The parent has filed an additional complaint with the U.S. Department of Education saying Snowberger broke federal law in compromising his child’s privacy. Criticism of the superintendent mounted after a series of confrontational communications with the Herald during its attempt to learn about a 911 call made by the principal of Needham Elementary School against a district administrator, accusing the employee of trespassing on school grounds. The Durango School District 9-R Board of Education asked Snowberger to issue a letter of apology for the way he handled communications with the Herald. The year ended for Snowberger with the Durango 9-R Central Office Accountability group issuing a white paper claiming Snowberger misrepresented his career in résumés to past jobs and calling for his termination. Snowberger offered a vigorous rebuttal to the charges at a 9-R school board work session. In the midst of the criticism, on Nov. 30, Snowberger and his wife, Olga, were involved in chain-reaction car crash on U.S. Highway 160 that seriously injured Olga. Snowberger has taken an extended medical leave to help his wife recuperate from multiple pelvis fractures and severe bruising. Longtime educator Tom Stritikus became the new president of Fort Lewis College in August. Stritikus succeeded Dene Kay Thomas. Stritikus left his job as deputy director of K-12 Education at the Bill and Melinda Gates Foundation to take the helm at FLC. 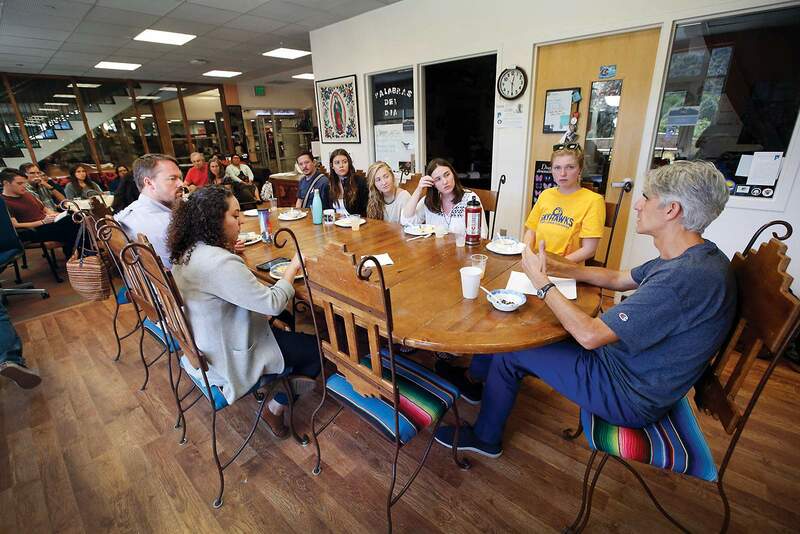 He said FLC’s commitment to affordable, quality education for first-generation students and the college’s work to meet the needs of Native American and Latino students drew him to the school. Tom Stritikus: Fort Lewis College selected Tom Stritikus as its new president in April, and he assumed his duties in August. He came to FLC after serving as deputy director of K-12 Education at the Gates Foundation, where he has led funding initiatives in teacher preparation, innovation and education. Stritikus said FLC’s commitment to affordable, quality education for first-generation students and its work to meet the needs of Native American and Latino students drew him to FLC. Currently, Stritikus is leading an effort to develop a strategic plan that aims to increase the college’s responsiveness to community needs and provide students with more relevant avenues of intellectual pursuit. Fort Lewis College budget cuts: On April 10, Fort Lewis College announced cuts of $4.16 million for the 2018-19 academic year after enduring an 11 percent decline in enrollment over the past nine years. The cuts included laying off 11 staff members, including three lecturers. Layoffs did not affect tenured or tenure-track professors, and no academic programs were eliminated. A total of 33 full-time equivalent positions were affected in some way by the budget plan. Between full- and part-time positions within those 33 FTEs, about 40 individual positions were eliminated, reduced or restructured. The budget plan emphasized that the school cannot cut its way to success, and investments to attract more students to reverse the enrollment decline are underway. In July, the U.S. Forest Service gave developers of the proposed Village at Wolf Creek access to move forward on the project. Village at Wolf Creek: It was a roller-coaster ride for those both for and against the proposal for a new ski resort atop Wolf Creek Pass. 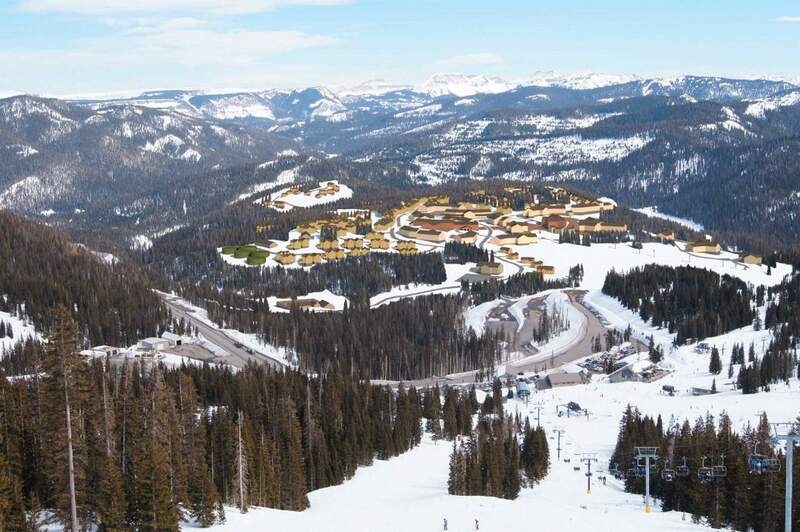 In 2017, a federal judge threw out a U.S. Forest Service proposal to grant developers of the would-be Village at Wolf Creek access to U.S. Highway 160, saying the agency had not adequately studied the resort’s environmental impacts. The ruling was a major blow to developers. But in July, the Forest Service announced it would give access to the project through another means, a bombshell decision that came as a shock to environmental groups and members of the public that have been opposed to the project for more than 30 years. The Forest Service said it was legally obligated to grant the developers, Leavell-McCombs Joint Venture, spearheaded by Texas billionaire B.J. “Red” McCombs, access. But the decision is sure to be challenged by environmental groups in the continued three-decade fight. 416 Fire: What bigger environmental disaster was there than the 416 Fire that broke out June 1 and ripped through an estimated 54,000 acres of the San Juan National Forest in the Hermosa Creek drainage? It was a drought year for the record books in 2018, but it all came to a head when the 416 Fire sparked, affecting nearly every aspect of life in Durango for more than a month. The fire burned through the beloved Hermosa Creek area, tripped daily warnings about air quality because of smoke and caused thousands of evacuations for residents north of Durango. It also caused the popular Durango & Silverton Narrow Gauge Railroad to suspend operations for 41 days. Because of the valiant efforts of firefighters, no homes or structures were lost. The U.S. Forest Service declared the fired contained on July 31 and said it was controlled on Oct. 5, 127 days after it started. According to a federal wildfire information database, the location of the start of the 416 Fire was just west of train tracks for the D&SNG, about 10 miles north of Durango; however, the Forest Service has not released an official cause of the fire. A large number of fish in the Animas River died when debris flows and mudslides flooded the waterway in July. The river filled with ash, mud and other detritus when heavy rainstorms fell over the 416 Fire burn scar north of Durango. The Animas River: It was a rough year for the waterway that cuts through the heart of Durango. Continued drought this winter and spring caused the Animas River to constantly break the record books, and not in a good way. Nearly every day, the Animas River gauge in Durango teetered on the brink of the lowest flow ever recorded, or dipped below. But the biggest injury to the waterway came when storms hit the 416 Fire burn scar, sending deadly ash-laden runoff down the Animas River. As a result, it is likely that nearly all the aquatic life in the Animas River died. 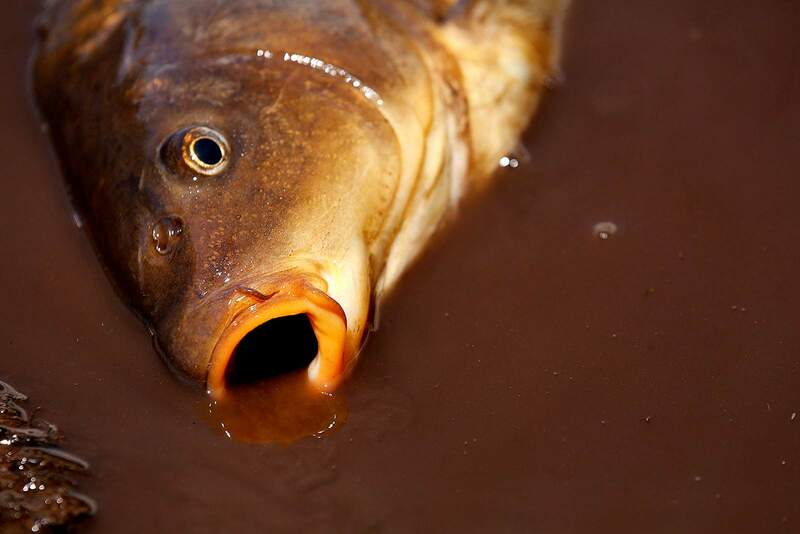 A Colorado Parks and Wildlife fish survey confirmed this fear in September. A study released by Mountain Studies Institute found that the impacts of the 2015 Gold King Mine spill paled in comparison to the hit from 416 Fire runoff. And, it will be an issue that looms for years with any storm passing through. 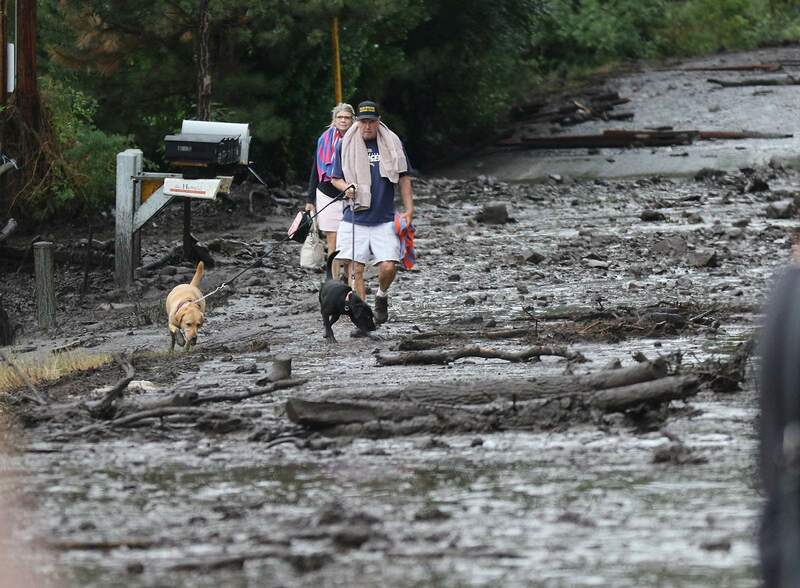 Flooding: As if the impacts of the 416 Fire weren’t enough, residents north of Durango were dealt another blow when rains started to hit the burn scar, which sent a torrent of mudslides and debris flow through homes. The floods devastated homes, especially in the Animas Village Apartments, the Pines Townhomes and the KOA Campground. The debris flows also knocked out the lines of the Durango & Silverton Narrow Gauge Railroad. In the wake of the floods, residents expressed frustration: With the risk of flooding a constant, and mitigation either incredibly expensive or not feasible, what options did they have? Audience members applauded a resident who addressed La Plata County officials during a meeting in January about the proposed land-use code. 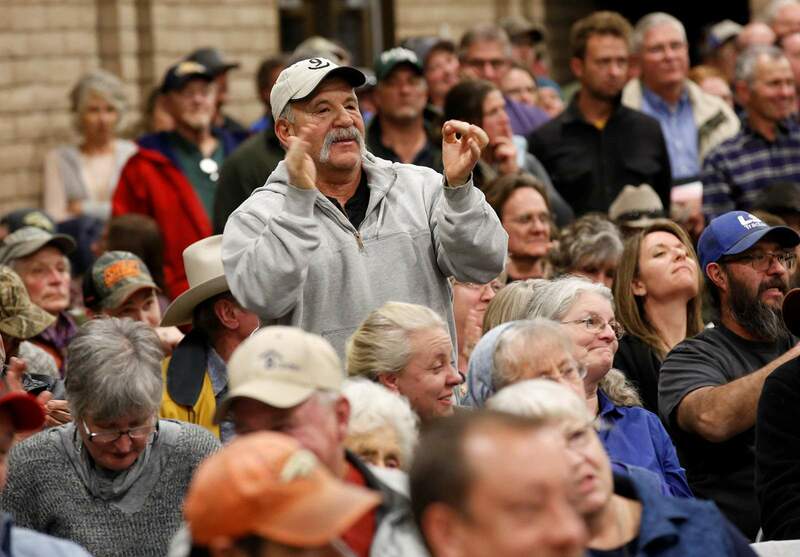 The contentious issue drew more than 1,000 residents to the meeting. Land-use code, zoning: La Plata County released a draft version of a new set of land-use codes at the end of 2017, but it wasn’t until 2018 that the debate over the updated regulations erupted. On Jan. 16, more than 1,000 people packed into the La Plata County Fairgrounds to lambaste the codes as a prime example of government overreach and an infringement on property rights. Since, the county has slowed down the rewrite process and fired the contracted company that wrote the draft codes. As a result, tempers have calmed over the new codes. Over the past year, La Plata County commissioners and county staff have held a series of work sessions and public hearings to draft a new set of codes that better reflect the desires of the community. But the main issue – will the county introduce zoning for the first time? – remains to be determined. Budget constraints: In 2018, property tax revenue in La Plata County was expected to fall to $14.9 million, a decline of almost 50 percent since 2010 and a low not seen since 2001. It marked another year of falling property tax revenues from the decline of the oil and gas industry, which translates into a shrinking operating budget. This past year, La Plata County left 19 positions vacant to cut costs. The move saved the county about $1.16 million, but it also forced staff to make tough cuts on funding, especially on road projects. And, leaner times meant the county could not dole out any raises for employees, exacerbating issues with turnover. According to a county report, turnover has increased from 6.6 percent in 2013 to 8 percent at the end of 2017. The county was also forced to cut funding to Sunnyside and Fort Lewis Mesa libraries, a $115,000 savings that irked many county residents. Joanne Spina’s farewell: County Manager Joanne Spina has worked at some level of county government for the past 30 years. On Jan. 2, she will cap that three-decade legacy and retire. Spina, 62, moved to Southwest Colorado in 1985, taking a job with the La Plata County court system. Three years later, she became an administrator for the Sheriff’s Office and in 1993 took a job as an administrative assistant to the county manager. 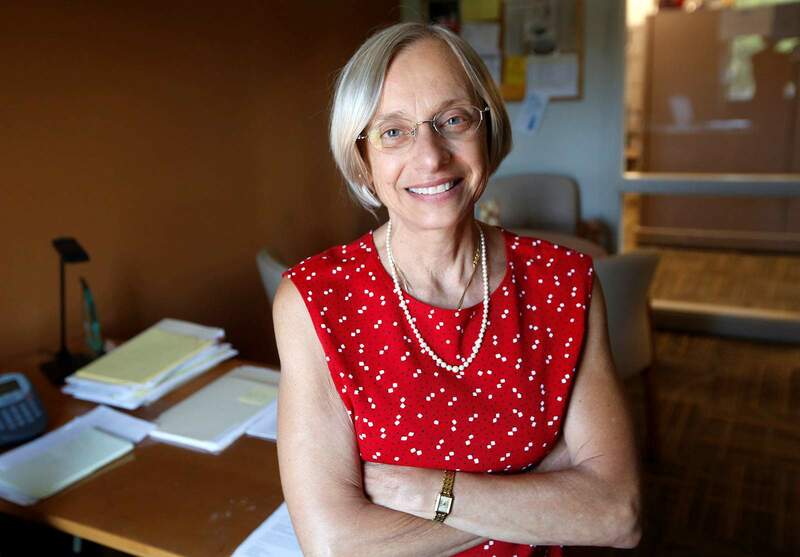 La Plata County Manager Joanne Spina will retire Jan. 2. She has worked in various positions for the county for 30 years. In 2006, she became assistant county manager. Spina had planned to retire at the end of 2017, but stepped in to help when then-County Manager Joe Kerby announced he was taking a job in Oregon. Election: Not since the 1940s has one political party held the entire three-person Board of County Commissioners. But in November, Democratic challenger Clyde Church beat incumbent Brad Blake, a Republican, by 23 votes. Clyde’s election will put three Democratic commissioners on the board. The race for La Plata County treasurer, one of the most contested campaigns this year, also was a close call. Incumbent Allison Aichele, a Democrat, was able to squeak out a win against Republican challenger Colton Black, a local banker. Sheriff Sean Smith, a Democrat, was also able to keep his role as county sheriff, withstanding challenges from Republican Charles Hamby and Dean Mize, an unaffiliated candidate. 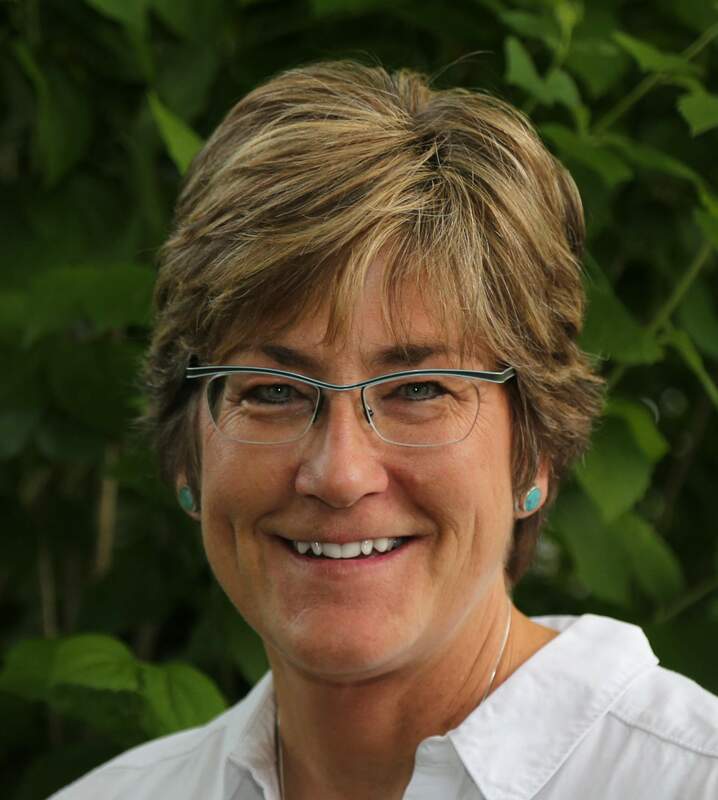 Gwen Lachelt recall effort: When three La Plata County residents handed in a petition to recall Commissioner Gwen Lachelt in January, it set off months of contentious debate in the community. Those who led the recall effort said Lachelt’s work on environmental issues harmed her attendance at county meetings and raised conflicts of interest. They needed 7,505 valid signatures to set off a recall election, but ultimately fell 36 signatures short. Lachelt said the recall effort was baseless and an attempt to silence her work and voice on conservation issues. 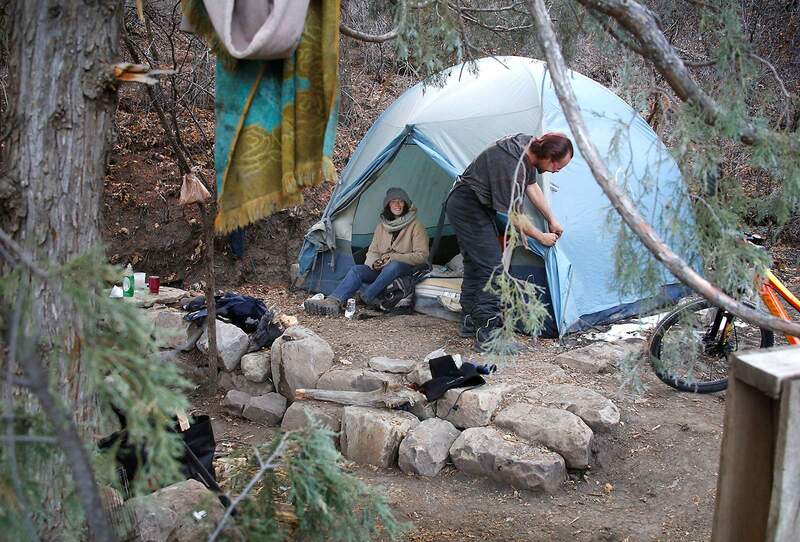 Homelessness: The city of Durango was at the center of a contentious debate about how to manage homeless residents for most of the year. It’s a conflict that remains unresolved. Homeless residents were moved to about four different campsites this summer while the city played with the idea of establishing a permanent overnight camping location. The city eventually abandoned plans of establishing a sanctioned campsite and instead enacted an ordinance prohibiting people from sitting and lying in certain locations. It also started enforcing a no-camping ban across the city. But the city put a moratorium on its camping ban after receiving a letter from the American Civil Liberties Union saying the ban was unconstitutional. The letter was informed by a ruling from the 9th U.S. Circuit Court of Appeals. This month the ACLU and the National Law Center on Homelessness and Poverty blasted the city in a white paper for focusing more on enforcement tactics than solutions to address homelessness. Lake Nighthorse: Lake Nighthorse opened in April for recreation. A large crowd showed up to boat and fish on the reservoir for the first time, after years of planning and debate about how the new amenity should be managed. The reservoir is a result of the Animas-La Plata Project, which was first approved by Congress in 1968 to fulfill a water rights settlement with Native American tribes. It was scaled back multiple times before work on the $560 million project started in 2003. City transit: The city of Durango eliminated two bus routes in May that served the east side of town, Three Springs and Mercy Regional Medical Center. The cuts had to be made after the city lost grant funding from the Colorado Department of Transportation. The grants were redirected to other transit services around the state. Tax fails: Durango voters rejected a proposed tax increase to raise up to $7.5 million annually to pay for streets, sidewalks, law enforcement and city buildings. The measure failed by a margin of more than 20 percent. The tax increase would have raised property taxes 5.4 mills and sales tax by 0.55 percent. The City Council held dozens of meeting and commissioned a survey about a potential tax increase. Opponents said the city has money it needs; it just needs to prioritize. Housing plan: Durango builders need to finish between 185 to 260 homes each year to keep up with the pace of expansion, according to a report prepared this year. The plan had been in the works for at least three years. City councilors approved strategies to encourage more housing of all kinds, put in place more market-friendly changes, prioritize density, establish a permanent housing trust fund and set up a land-banking program. The council also aims to establish 1,000 long-term affordable units by 2040 that would be set aside for low-income residents. The intent in all of this was to encourage developers to build more housing in town to help meet the demand. While releasing the plan did not have any direct implications on policy, it did set a framework by which the city can begin to address issues of affordable housing. Lauren Park, 16, pretended to take a selfie with fellow Durango High School students during a game of “Walk Around Cool” in August. 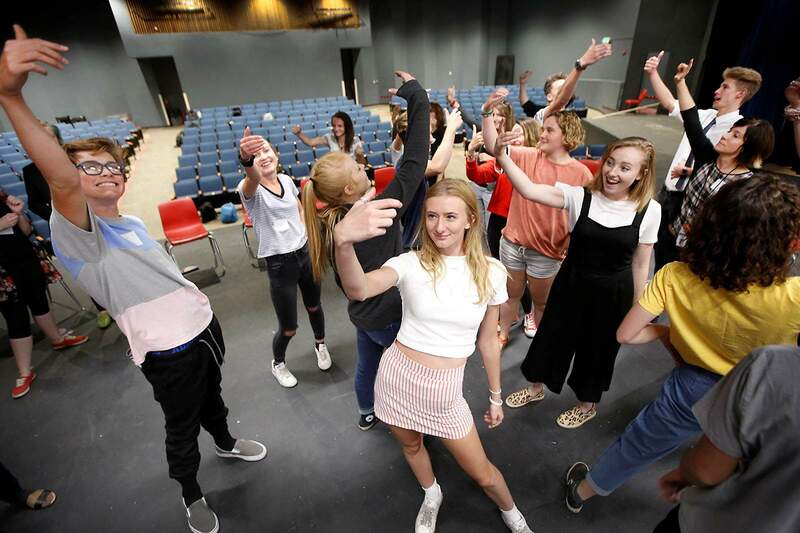 The game aims to break down social barriers and is part of the Sources of Strength program, which is designed to spread positive habits through a school’s social network. Suicide prevention: A rising number of deaths by suicide among young people prompted school districts, clubs, primary care doctors and others to start new prevention efforts. Several schools have adopted Sources of Strength, an evidence-based program that focuses on building supports, such as positive friends and mentors, and encouraging positive activities. Mercy Regional Medical Center and other health care providers also took steps to better serve patients in crisis. Pediatric Partners of the Southwest introduced behavioral health care screenings for patients at key turning points in life and started to track those at the highest risk of experiencing a crisis. The clinic’s work is meant to help prevent patients from ever experiencing suicidal feelings. Rising home prices: Dozens of new homes were started in Edgemont, Three Springs, Twin Buttes and other areas this year, but the increased supply did nothing to lower the median price in Durango and La Plata County. The median price in Durango edged close to $500,000 in the third quarter of the year. Volume of home sales was down slightly across the county, possibly because buyers could not find affordable options. While home prices have been rising in Durango and La Plata County, median wages have not kept pace. At the same time, interest rates rose nationally this year, pushing up home prices even more. Public art: Thousands of dollars in grants funded new murals and other highly visible public art projects in Durango. Durango Creates! set aside $20,000 for creative projects, such as public art, pop-up shops and events to draw residents to the north Main Avenue corridor. The grant program supported a new mural on the Kroegers Ace Hardware building downtown. It also paid for a new bench, Lego art installations and a mural on the Think Network Technologies building on north Main Avenue. LPEA going green? : La Plata Electric Association started to more actively investigate alternative energy sources to its wholesale supplier Tri-State Generation and Transmission this year. Tri-State caps the amount of local renewable energy LPEA can purchase at 5 percent, and LPEA is in a contract with Tri-State until 2050. Whether LPEA should explore a buyout was a contentious issue in the April election, in part, because of community interest in pursuing more locally-generated renewable power. Balance on the board of directors shifted in favor of more aggressively pursuing renewable energy. The co-op this fall hired a consulting firm to explore the realities of purchasing electricity on the open market if LPEA buys out of its contract with Tri-State. Sheriff re-elected: La Plata County Sheriff Sean Smith won re-election this year after going up against two challengers: Charles Hamby, a Republican with the Southern Ute Tribal Rangers, and Dean Mize, an unaffiliated candidate who works for the San Juan County Sheriff’s Office. Smith was criticized during his campaign about turnover rates within the Sheriff’s Office; 70 deputies parted ways during his first term. He also took criticism from Hamby for working with homeless residents camped west of Durango city limits; Hamby accused Smith of picking and choosing which laws to enforce. Hilltop House: The Herald learned that the executive director at Hilltop House, a community corrections center for adult offenders, has been accused of at least a half dozen incidents of sexually inappropriate behavior during the past 20 years. Despite the accusations, John Schmier has kept his $104,000-a-year job with minimal repercussions from the board of directors, which is made up of two former police captains, a prosecutor, a parole officer, two probation officers, a banker, an accountant and Jeffrey Wilson, chief judge of Colorado’s 6th Judicial District. Schmier was accused of making lewd comments to female staff members, simulating masturbation and starting inappropriate romantic relationships, including with a subordinate who filed a sexual harassment claim that ended with a settlement agreement. Schmier remains director of Hilltop House. Murder cases closed: Two separate murders committed in 2017 at the Lightner Creek Mobile Home Park resulted in first-degree murder convictions for two men this year, which carries mandatory sentences of life in prison. Michael Jones, 21, was convicted of killing David Gaytan, 34. And Silvino Martinez-Perez, 36, was convicted of killing his wife, Crystal Martinez-Perez, 33. Jones was the triggerman in a marijuana robbery. Martinez-Perez strangled his wife after she told him she wanted a divorce. Sexual assault: Two of three Durango men charged in connection with a violent sexual assault were sentenced to prison this year. The third man is awaiting trial. The three men are accused of driving a Fort Lewis College student around town while making her perform sexual acts. One of the men was armed with a shotgun. The assault was interrupted by a police officer at the Durango Skate Park. James Zink, 19, who wielded the shotgun, pleaded guilty to second-degree assault and two counts of attempted sexual assault. Zink got 16 years in prison and 10 years probation. Anthony “Izzy” Fitts received six years in prison after pleading guilty to second-degree assault and two counts of attempted sexual assault. The judge gave him a lesser sentence because he recognized Fitts as more of a follower than a leader. Devin “Ducky” Bond, 21, pleaded not guilty to six charges, including felony sexual assault. He is scheduled for a three-day trial in February. Sandy Young: Young, 64, ranched all over La Plata County since her arrival from her family’s farm in Wisconsin in 1980. She died Aug. 16. Most recently, she worked in the Animas Valley, running cattle and her outfitting business, Seventy Seven Outfit. But she could just as often be found at any number of community boards she served on. The list was extensive, but a few of her positions included serving as treasurer of the La Plata/Archuleta Cattlemen’s Association, serving with the Habitat Partnership Program Committee for Colorado Parks and Wildlife and being a founding member of the Four Corners Back Country Horsemen. Helen Elizabeth ‘Bliss’ Bruen: A stalwart volunteer in the Durango community who served on countless boards and brought her visionary ideas to fruition, Bruen died Sept. 11 after a brief battle with cancer. Bruen worked in New York City and San Francisco as a photographer and then as a documentary filmmaker. She produced a number of documentaries on topics such as conflicts in Central America, peace activists in the United States and a catering business that served people with Down syndrome. Bruen supported numerous community endeavors, most recently helping to open a Regional Innovation Center at Fort Lewis College in partnership with Rocky Mountain PBS. Bruen was part of the founding group of Animas High School in the mid-2000s. Johnny Maddox: A legendary ragtime pianist and a mainstay at the Diamond Belle Saloon for 16 years, Maddox died Nov. 27 in Gallatin, Tennessee. Maddox, 91, had an illustrious career, first taking his brand of old-time piano public in the late 1930s. He recorded numerous hit songs and is the only ragtime pianist to have a Hollywood Walk of Fame star. Maddox went on to record nine gold records and sell more than 11 million records. He worked with stars such as Elvis Presley, Patsy Cline, Eddie Arnold, Andy Griffith, Lawrence Welk and W.C. Handy. Maddox announced plans to retire in 1992 but was convinced by Rod Barker, president and CEO of the Strater Hotel, to take up a residency at the Diamond Belle Saloon. Beatrice “Mickie” Thurston: A Durango philanthropist who supported the environment, archaeology and the arts, Thurston died Aug. 30 at her home near Durango. She was 86. Thurston and her husband, William “Bill” Thurston, who died in 2011, were well-known supporters of a variety of endeavors in La Plata County. They were prominent financial supporters of the Durango Community Concert Hall, the Artists in Residence program at Fort Lewis College, the orchid house at the Denver Botanic Gardens and Crow Canyon Archaeological Center. The Thurstons were some of the earliest – and longest – sponsors of Music in the Mountains. Orchids were one of Mickie Thurston’s passions, and she took many trips, mainly to Mexico, with her husband to collect wild orchid species. Three orchids species are named after her. 3. Navajo filmmaker arrested on sexual assault charges while in Durango. 5. Hunter mistakenly kills moose in Silverton.